Hello and Welcome to my site. My name is Adam Behrens and I live in Bryncethin where I teach guitar lessons. I teach beginner, intermediate and advanced guitar. Along with teaching guitar I also teach music theory. 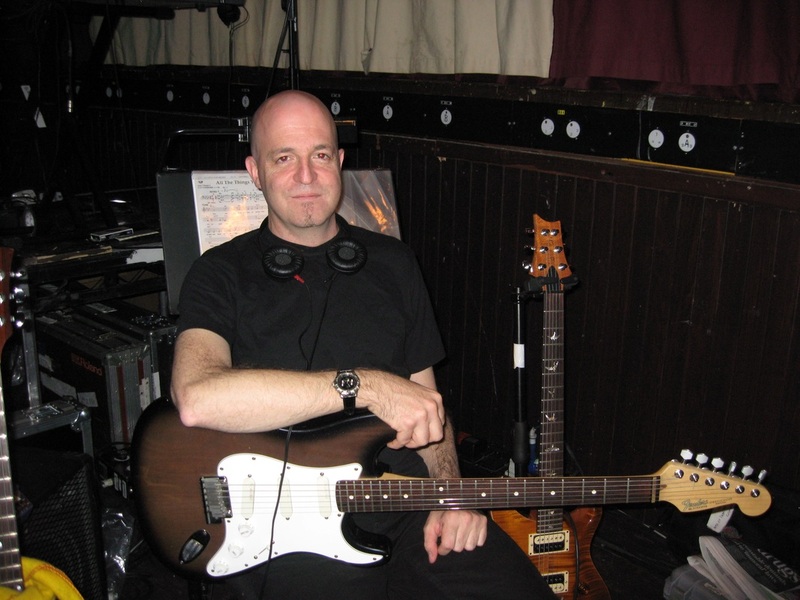 I have been playing for over 30 years and offer a fun yet practical approach to learning music. I do not teach out of one book only as I prefer to adapt lessons to what musical direction a student wants to go whether for personal enjoyment or for professional aspirations. I teach many styles including rock, classical, pop, jazz and blues. Although I live in Pendlebury and offer lessons from my home, I am also happy to travel to a student's home to teach if this is more convenient. I am happy teaching from the ABRSM, Trinity Guildhall (classical) and Rock School Syllabuses. I hold a full DBS check and teach in 2 Independent primary schools in London. I have over 5 years experience in schools and over 20 years experience teaching privately. Please have a look around the site to see more info on what I've been doing as a musician. I enjoy teaching and don't think of it as a supplement to earnings when gigs are not numerous. I consider it to be another aspect of my being a professional musician. I encourage students to learn at their own rate and to ask questions about anything they don't understand even if it's the same question more than once. Too many music students are held back for fear of appearing foolish by asking questions. There is no such thing as a foolish question.